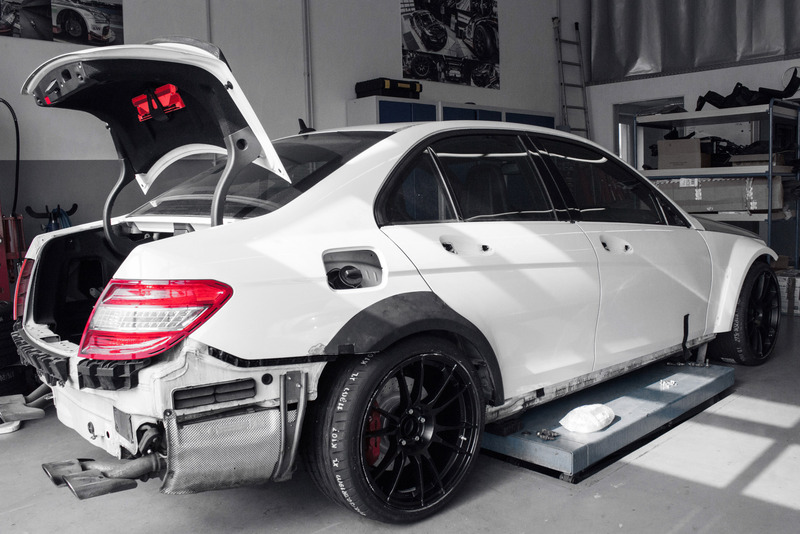 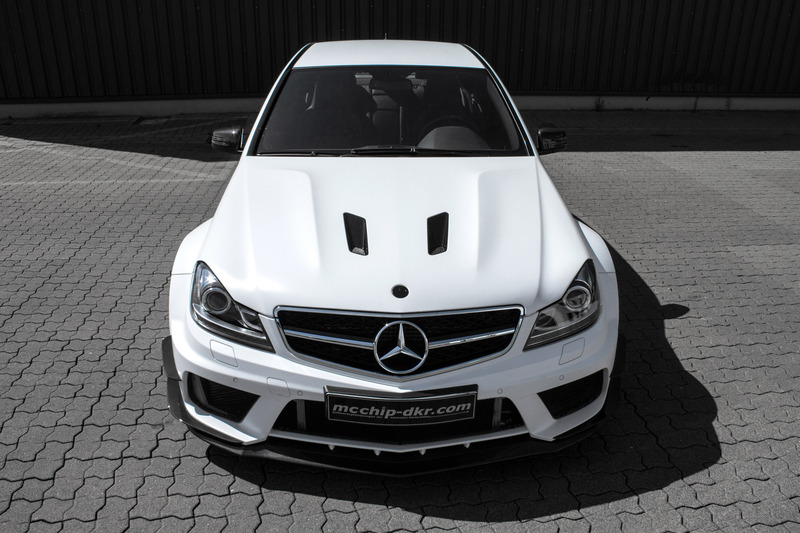 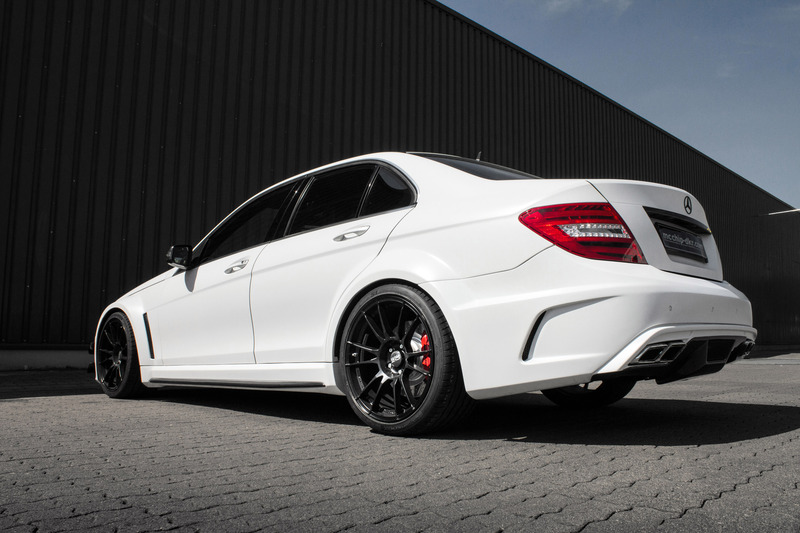 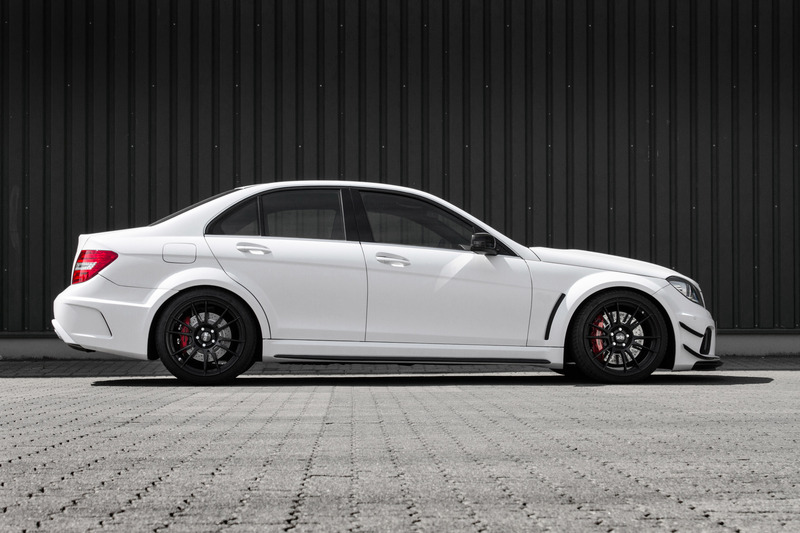 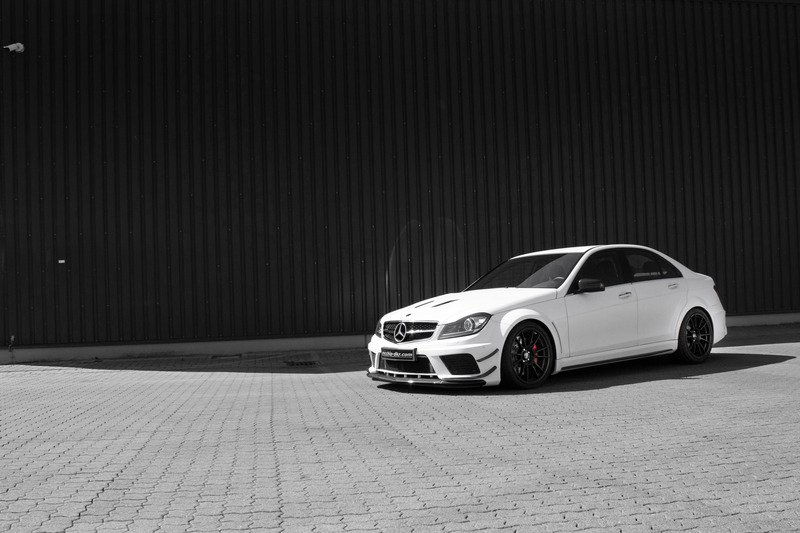 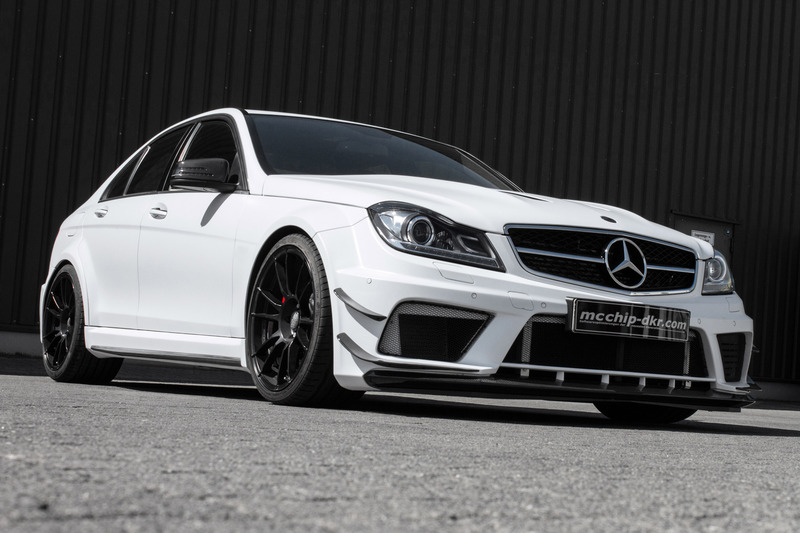 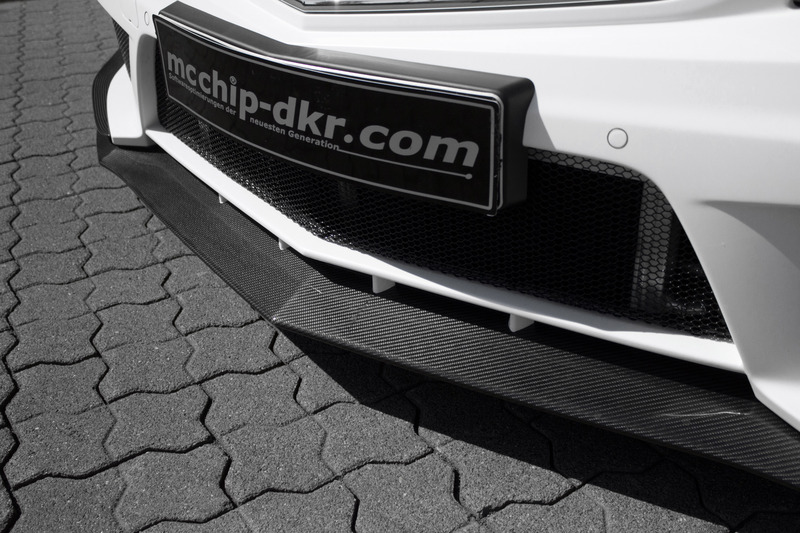 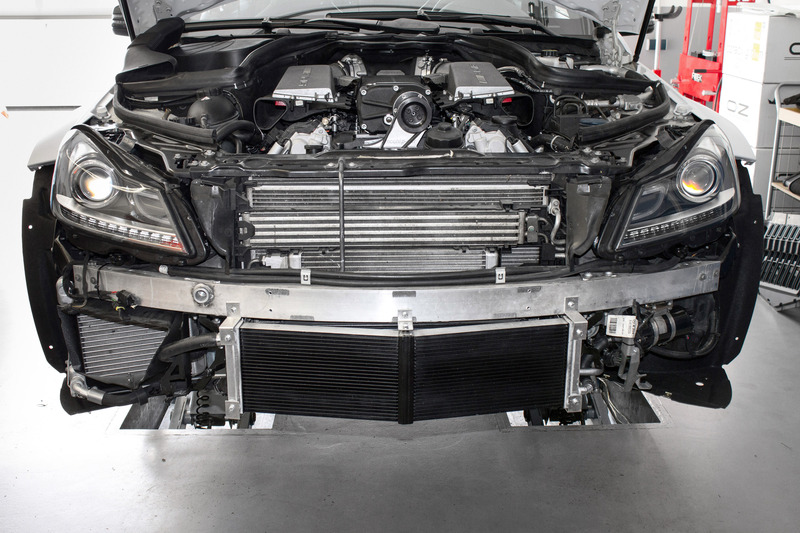 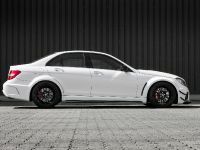 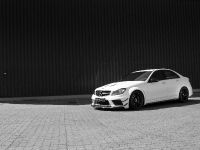 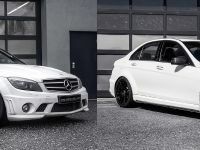 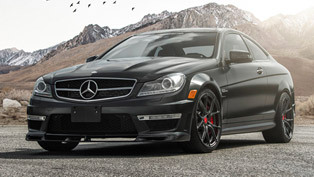 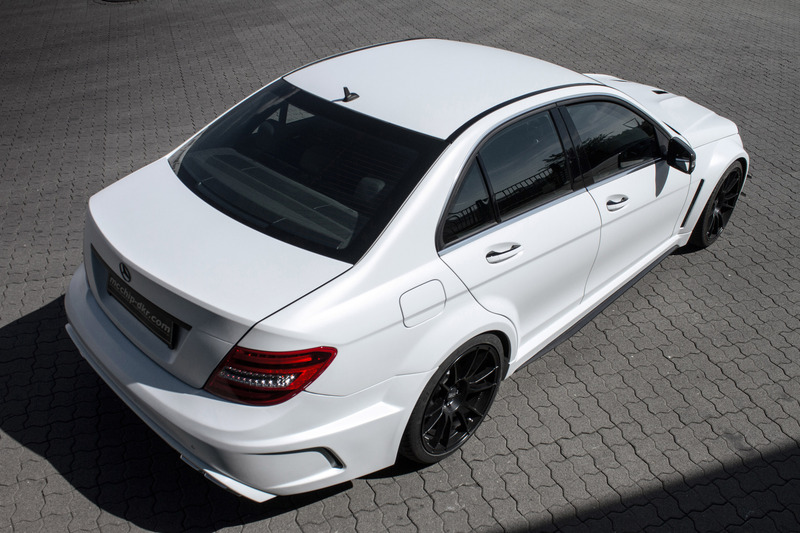 McChip-DKR has unveiled their latest tuning project based on Mercedes-Benz C 63 AMG. 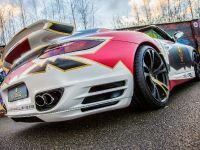 The name of the project is mc8xx and it includes styling and performance upgrades as well. 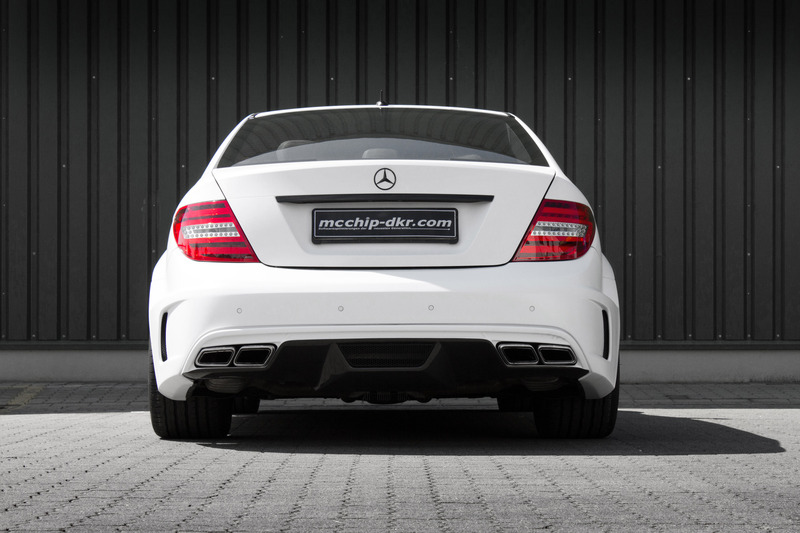 The 6.2 liter naturally aspirated V8 originally develops 457HP ((336 kW) and 600Nm (443 lb-ft). 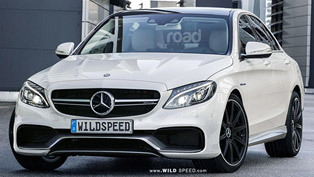 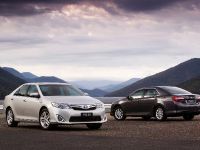 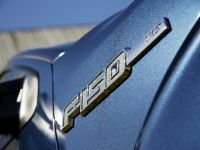 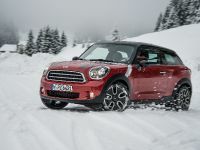 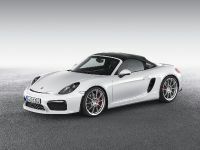 It is mated to a 7-speed SpeedShift MCT transmission. 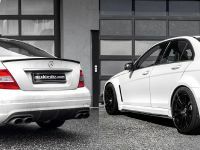 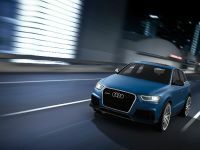 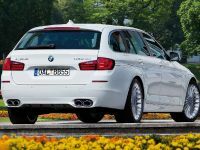 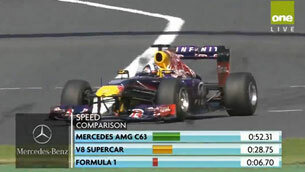 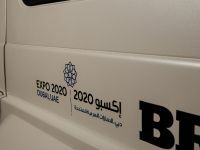 0 to 100 km/h in 4.5 seconds, which is a bit faster than BMW M3 and the fuel consumption is 12.0 L/100 km. 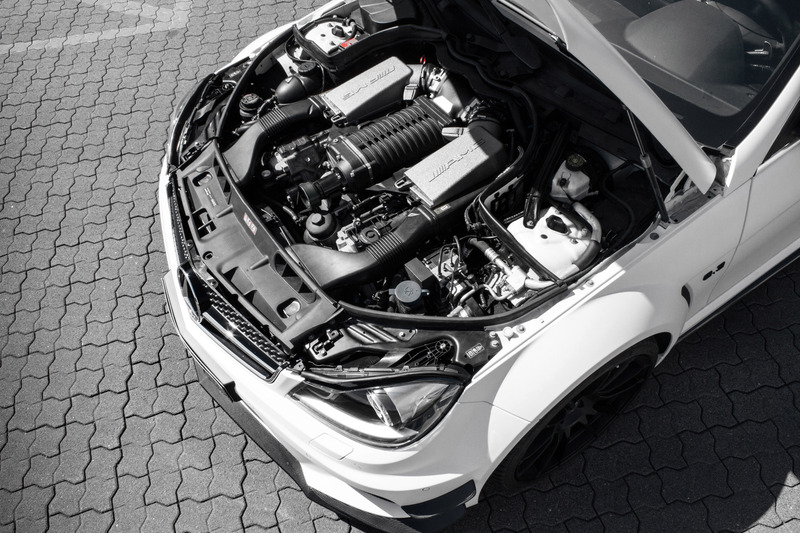 After a complete supercharger system, the engine produces whopping 830HP (610 kW) and over 900Nm (667 lb-ft) of torque. 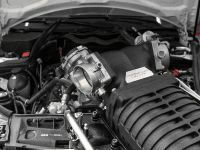 The result is thanks to a big oil cooler, XXL water cooler and a bigger water pump for the charge air system. 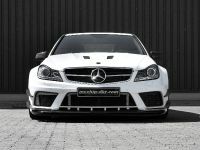 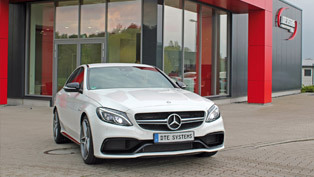 The exterior boasts a complete wide body kit of the corresponding special model of Black Series. 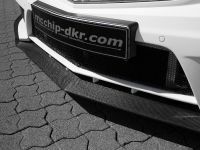 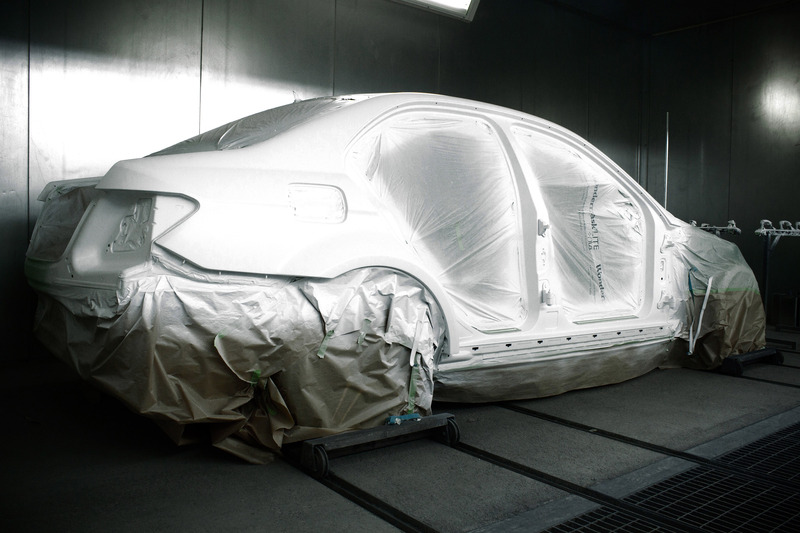 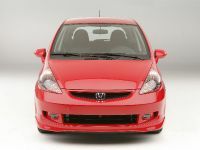 It includes aggressive front and rear bumpers, a new front hood, a pair of side skirts and several wings. 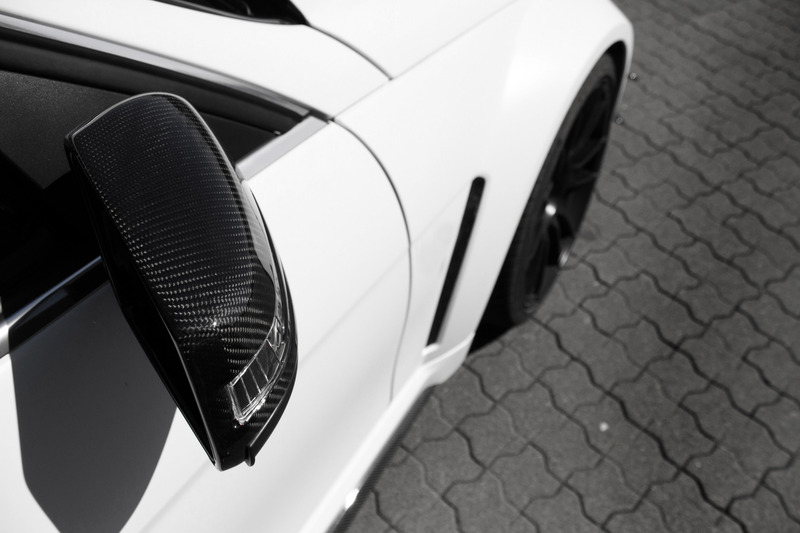 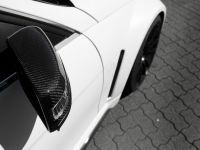 All parts are manufactured from carbon fiber including flaps, side mirrors, front splitters and the rear diffusor. 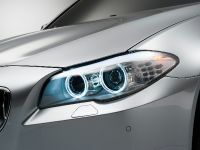 Other highlights include front and rear lamps from the W204-Facelift model. 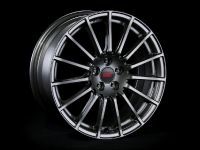 The sports car is fitted with OZ-Racing Superleggera rims – 10J x 19" at the front and 11J x 19" at the rear fitted with adequate performance tires. 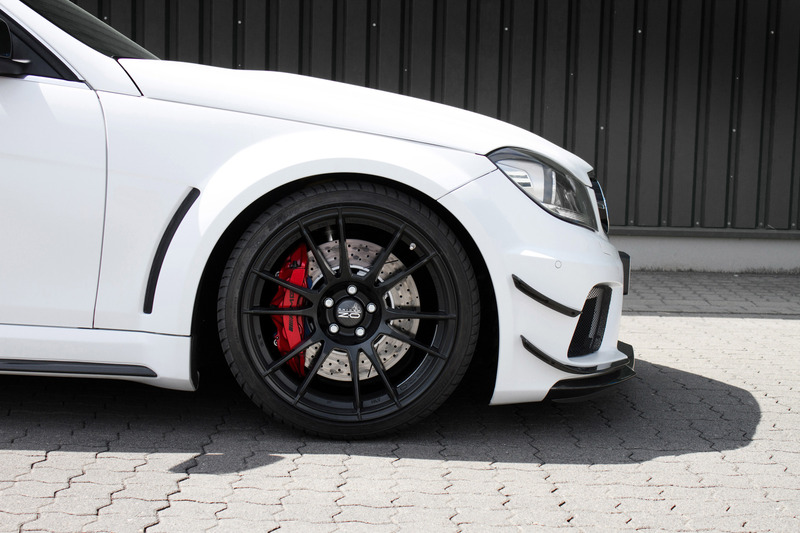 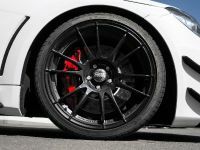 A KW Clubsport chassis is also present as well as high performance brake discs and stopping pads. 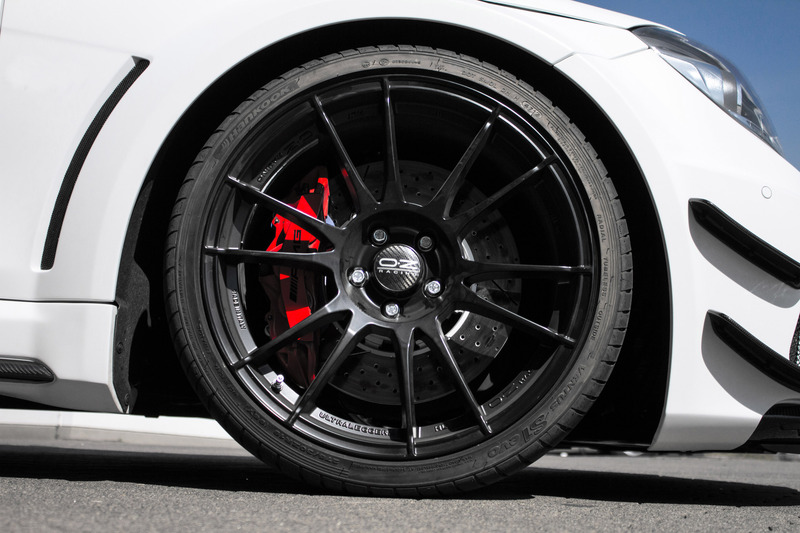 Last, but not least is an LSD (limited slip differential) by Drexler. 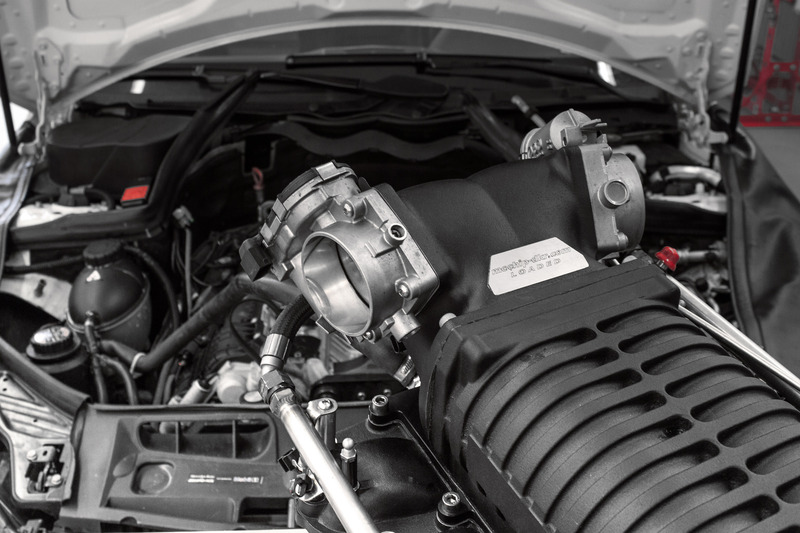 The mc8xx package comes with MOT-certificate and is now available to order.